Queen Noor will be speaking about her work in global conflict prevention, resolution and recovery at 7 p.m. Wednesday, May 2 at UC Irvine. She’ll be addressing topics of gender, poverty and socio-economic diversity, while focusing on the commonalities of people, rather than the differences. The discussion will be moderated by Dalai Lama Scholar, Armaan Ahmed Rowther, as well as UCI Chancellor Michael V. Drake and Kelly Thornton Smith founder of Center for Living Peace. During her visit, the Center for Living Peace will also hold a fundraising event on Wednesday, April 25 for the King Hussein Foundation, on a mission to tackle the global challenges of poverty, women’s empowerment, and health. And on Saturday, April 28, the Center hosts a youth day of service. Looking for an effective workout regime that can transform your body? Barry’s Bootcamp Irvine offers a strategic blend of cardio and strength training, and for living proof of how effective it can be meet Nicole Ziaolhagh, the newest super trainer at Barry's Bootcamp Irvine, who owes her life to its fitness philosophy and is helping woman who are determined to make positive healthy changes too. Ziaolhagh battled with her weight since she was a child, then suffered from anorexia at a young age followed by binge eating and yo-yo dieting through her early twenties. When she became became pregnant with her first child, she focused on becoming healthy for the sake of herself and future family. After reaching nearly 200 pounds during her pregnancy, Ziaolhagh began researching nutrition and exercise plans to help her lose the weight and keep it off. And she found the philosophy of high interval training was the best way to develop lean, strong muscles and burn fat fast. After giving birth to her son, she followed and developed what she calls "The Perfect Plan", a combination of proper nutrition, fitness, and lifestyle and successfully lost and kept off 70 pounds. When she discovered Barry’s Bootcamp, she realized that they shared the same fitness philosophy and she became a Super Trainer at Barry’s Bootcamp Irvine to help other women with similar struggles achieve their fitness goals by launching www.wowmoms.com where she shares her story, health tips and offers personal coaching and nutrition planning. 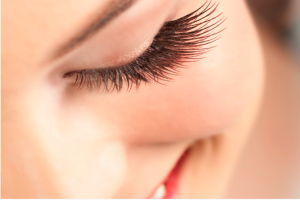 The LashSpot Spa in Costa Mesa can help brides and bridal parties celebrate that special day with LashSpot Lash Extensions, that will add stunning, thick, full, lush lashes that can range from ultra glamorous to classic. The eyelash extensions are exclusive to the spa and created from premium silk products for lashes that look as natural as possible. Bridal spa packages include a full lash tint, full lash extension application one week prior to any event, and so that everything looks perfect on the wedding day, an extension touch up just a few days before the wedding for just $175. Brides can treat their bridesmaids to brow shaping and a LashSpot Mini application for just $65 or a lashtint and LashSpot Mini for just $75.